"This crampon is the evolution of the G20 model that has established the new standard of lightness in the technical crampons. The G22 comes with two front points. The new MONO-RAIL technology (patented) distributes the points in an intelligent and original way. 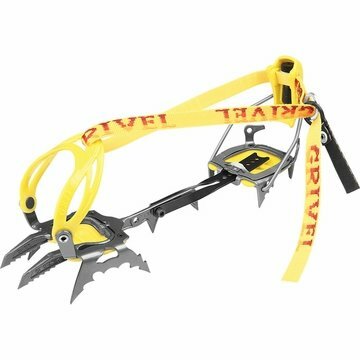 The lightest dual points tech crampon: 925 grams with front and rear antiballing! Two hot forged front points. Patented MONO-RAIL technology. "